Oh, there's so much going on today I don't even know where to start. I guess let's just jump right in. First, if you go back to my ZnetShows Design Team reveal post, I've added a list of links to the other design team members' reveal posts. I need to get through them all myself. I've seen a bunch of the reveals on the Facebook Page, but I definitely need to head to each of the blog posts. I'm in awe over some of the innovative, inspired, and downright beautiful design these other designers came up with. Secondly, today starts the sign-ups for the 7th Bead Soup Blog Party. You only have until Sunday evening to sign up for one of the three reveals. 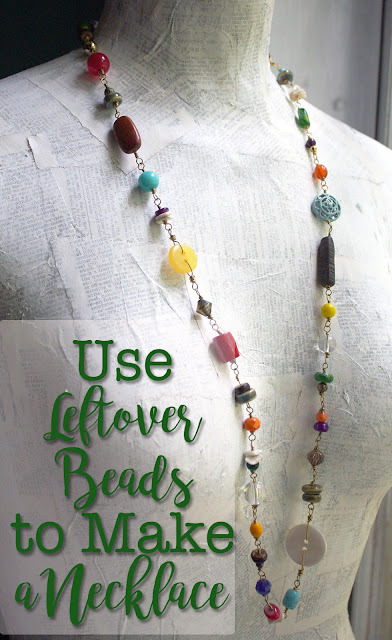 Remember, there will only be ONE Bead Soup Blog Party this year, so this is IT! You can find the link for the sign-up form over at hostess Lori Anderson's blog, Pretty Things. The main thing I wanted to share with you today was my completed piece for The Year of Jewelry Project. This week's topic was "Not from the Mall." This sure got my wheels turning. 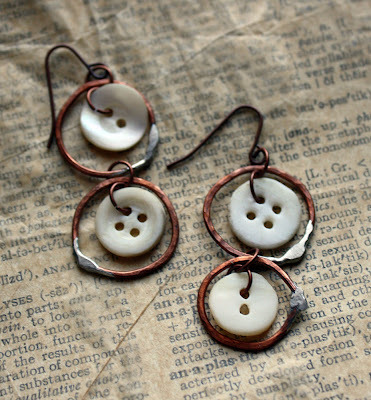 I immediately thought of buttons since that's not something you see very commercially available in jewelry. I envisioned a bright array of buttons wired on a frame. My attempts at that idea just were not coming into fruition. I knew my lacking skills with wire frames were to blame. 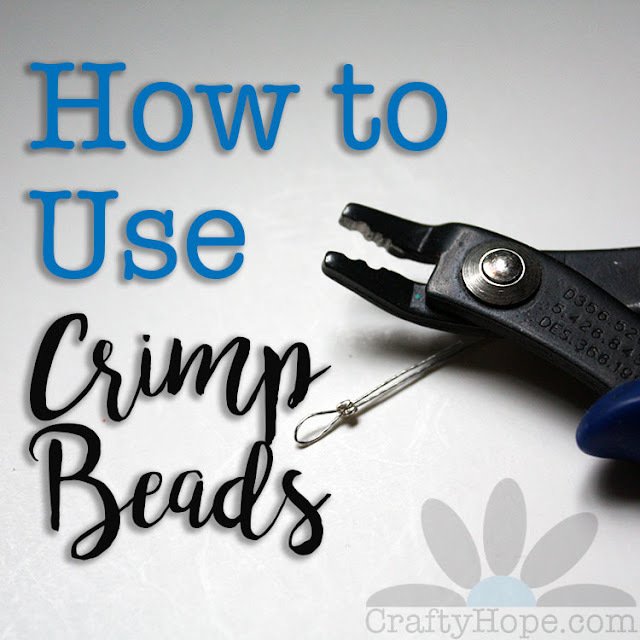 You can see a bit of what I was attempting in my Bead Table Wednesday post. 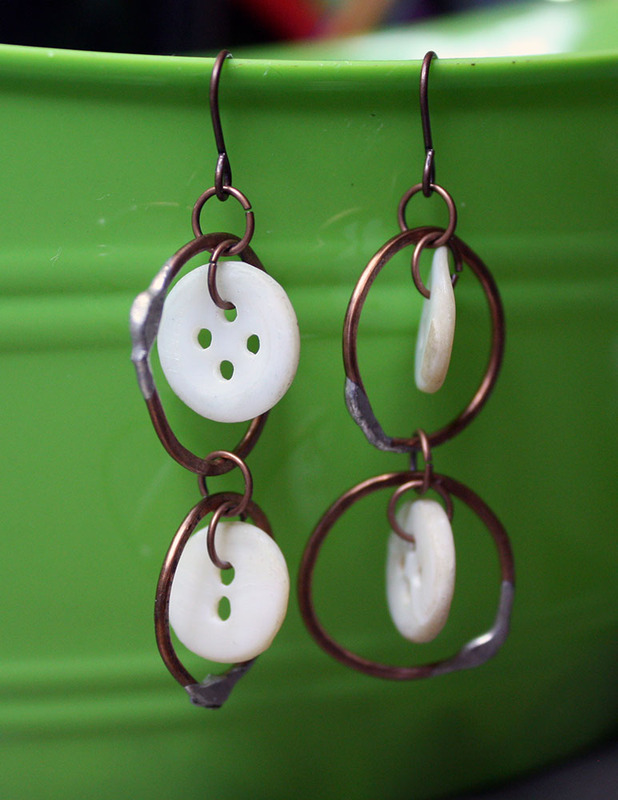 Since I was running short on time, I decided to simplify and make a pair of earrings. Here's what resulted. Using some soldered copper rings and vintage mother of pearl buttons, these earrings just fell together for me. While on a flat surface like this it looks as though the buttons are framed in the rings. However, when hanging, the buttons turn sideways in the rings to give them a neat look from all angles. I don't think you'd find anything like these at the mall. I could be mistaken though, I don't go to the mall very often. You can check out the other designs for this topic in the Year of Jewelry Project Week 4 Gallery on Facebook. There are some pretty amazing artists in this group! I think that's just about everything I needed to tell y'all today. At least I hope it is. If not. . .I'll be back!